The microplastics literature is growing at a tremendous rate. Every day, new studies are published about their sources, fate, and effects. There is no longer any doubt that microplastics of all shapes, sizes, and types contaminate diverse ocean habitats and animals. We also understand much more about the effects of microplastics on organisms than we did just a few years ago. Still, there are research gaps to fill. Fewer measurements of microplastics have been taken in freshwater habitats, so much of what we know about plastic pollution comes from studies in marine systems. Furthermore, even less is understood about the effects of microplastics in freshwater animals. Finally, and of most interest here, many studies do not compare the effects of different types of plastic polymers. This may be important as different polymers are made up of unique mixtures of chemical ingredients. As part of a project funded by the NOAA Marine Debris Program, we set out to answer questions related to these research gaps. We examined whether environmentally-relevant concentrations of different types of microplastics (polyethylene terephthalate (PET), polyethylene, polyvinylchloride (PVC), or polystyrene) directly affect freshwater prey (Asian clams) and indirectly affect their predators (white sturgeon). Using several different plastics that were similar in shape and size, we found that effects varied by polymer type. For example, abnormalities in cells and tissues were greatest in clams fed PVC or polystyrene compared to PET and polyethylene. Like chemical pollutants, not all microplastics should be categorized into one, singular contaminant group. 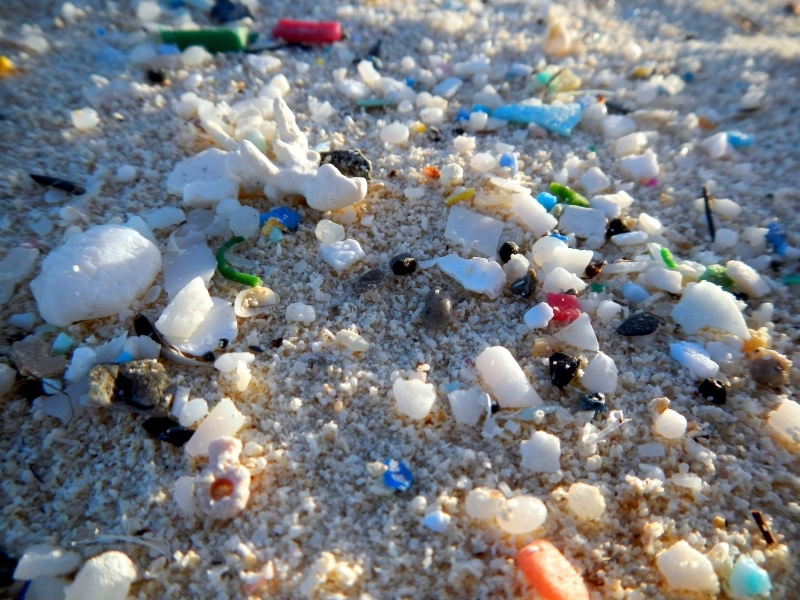 Microplastics come in a variety of polymers, some of which are relatively nonthreatening and others that are more hazardous. Instead of only thinking about what concentrations of microplastics may be harmful, we might also consider the different sources and types of microplastics that may be hazardous. For more information, read the peer-reviewed journal article. I have a highly documented collection of 100,000 pieces of plastic sinksam (benthic marine debris) available to researchers. It includes nearly every non-buoyant polymer and has numerous identifiable objects demonstrating decades of submersion. My online Flickr account documents numerous aspects of this collection, gathered, researched and utilized in environmental art over the last 14 years. It was collected during over 500 expeditions to a fascinating spot known as Neptune's Vomitorium on the California coast south of the Golden Gate. You may find this comment a little off the topic but I feel that pollution or environmental problems such as this could have been averted or reduced if at the time of R&D sufficient time was given for impact analysis. We are too fast in introducing products. Then when we find out that the product has caused so much problem, we look for systematic study of the problem - categorization, as in their sources, types and so on, which is necessary, no doubt. But I'm sure no researcher is happy that there is pollution and that they have now got an exciting opportunity to research on that.